The Life and Work of Bishop Thorold. The Position of a Christian Nation under the Divine Judgments: A Sermon (on Isaiah XXVI. 8) Preached in Trinity Church, Marylebone, Third Sunday in Advent, 1854. The Repentance of St. Peter: A Sermon Preached in the Church of St. Ebbe, Oxford, on Friday, March 26, 1858. Oxford and London: John Henry and James Parker, 1858. The International Exhibition of 1862. London: Society for Promoting Christian Knowledge, 1862. The Memory of the Just: A Sermon, Preached in St. Mary's, Marylebone, Sunday Evening, March the 16th, 1862, on the Pccasion of the Death of the Rev. John Hampden Gurney. The Function and Grace of the Episcopal Office: A Sermon Preached in Westminster Abbey on St. Bartholomew’s Day, August 24, 1874, on the Occasion of the Consecration of the Rt. Rev. 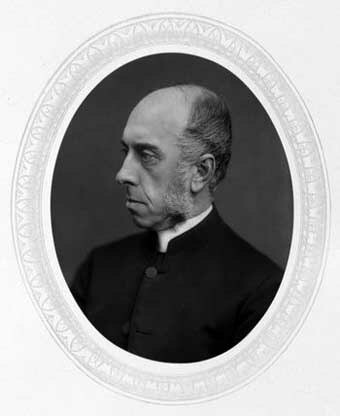 W. Basil Jones, M.A., Lord Bishop of St. David’s, and the Rt. Rev. Edward Steere, LL.D., Missionary Bishop in Central Africa. A Pastoral Letter to the Diocese of Rochester. A Charge Delivered to the Clergy of the Diocese of Rochester at His Primary Visitation in 1881. Liberty and Sacrifice: A Temperance Sermon. New York: Churchman Print, 1882. The Claim of Christ on the Young. The Yoke of Christ in the Duties and Circumstances of Life. A Charge Delivered to the Clergy of the Diocese of Rochester at His Second Visitation in 1885. Ministerial Efficiency as Dependent on the Life and Character of the Minister. [no place:] Mitchell and Hughes, 1885. The Heavenly Vision: A Sermon. Preached in Cuddesdon Parish Church, June 14, 1892, at the Anniversary Festival of the College. [no place: no publisher,] 1892. Questions of Faith and Duty. On the Loss of Friends. Selections from the Works of Bishop Thorold.